In keeping with our mission of outreach, this program is designed to be a series of dinners with speakers and follow-up discussion, open to the community at large and focusing on topics of critical and immediate importance to the world we know. In our first year our speakers brought us updates on DACA and its impact on both the human and legal levels; a review of surviving cyber attacks on both the micro- and macro-levels, and increasing awareness of the impacts of climate change. 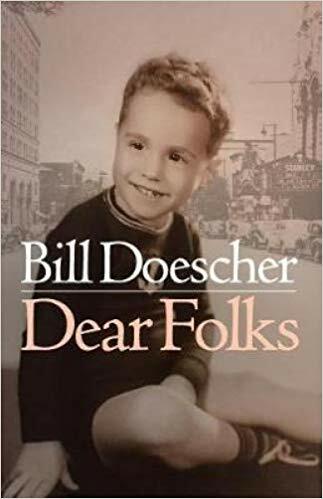 The Church’s Sunday Seminar on February 10 will feature our very own Bill Doescher, who will talk about his new book, Dear Folks. In his book, Bill, a leader in the field of public relations, provides sound lessons and strong insights from a career that took him from a sports writing job to top communications positions with blue-chip companies. Dear Folks, a title borrowed from his father’s and grandfather’s weekly epistles, is a compi-lation of more than 40 powerful essays that illustrate his ability to anticipate outcomes and develop sensible philosophies. His authentic storytelling includes a profile of Rev. Pete Jones, whom he calls “The Real Deal,” what it was like “Speaking from the Pulpit,” “A Call to Action: Do the Right Thing” about diversity and inclusion, “Where is PR Headed,” “Everyone Should Have an Aunt Elsie,” and one that describes how his father saved three people’s lives when he was in the third grade in Utica, New York. The accounts are generous, personable, humorous and wise. You will become richer for having shared some time with Bill Doescher and his stories. Bring your friends and neighbors. Bill is offering his book at 30 percent off at $20.99 plus tax. Hitchcock Sunday Seminars always provide a wonderful opportunity for members of Hitchcock, and the larger community, to learn from an expert in whatever topic is being discussed. Bill, who sings in the Chancel Choir, is an elder and member of the Session as well as treasurer of the Hudson River Presbytery, a group of 79 congregations in New York State, including Hitchcock, is one of those experts. The Sunday Seminar event begins at 6 p.m. in the Lower Children’s House with a fabulous Jensina dinner ($15.00) and usually ends by 8 p.m.